Many Nations Youth Council promotes UNITY at OU’s Spring Heritage Celebration – UNITY, Inc. The Many Nations Youth Council recently promoted UNITY at the University of Oklahoma’s American Indian Spring Celebration. The event featured speakers, Native games, and exhibit booths. 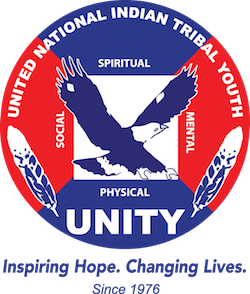 The youth council highlighted the opportunities UNITY provides to Native youth through programs such as Earth Ambassadors, 25 Under 25, and Wellness Warriors. Many students attending OU received information regarding UNITY’s National and Midyear conferences, as well as how to join a council or start their own. The event was sponsored by the OU American Indian Student Association (AISA). Aside from providing activities for the public, students assisted in setting up a teepee. About 20 different tribal flags were represented during a Grant Entry representing the various tribes of members of the AISA. The Spring Heritage Celebration and the OU Powwow are events sponsored by AISA during the month of April. “Many of the booths brought attention to Native organizations as well as issues in Indian Country, such as ΓΔΠ’s booth bringing awareness to Missing and Murdered Indigenous Women. It was a great day spent celebrating Indigenous cultures as we looked towards the new growth of a new Spring season!”, said Brittany McKane, National UNITY Council Southern Plains Representative and OU student.